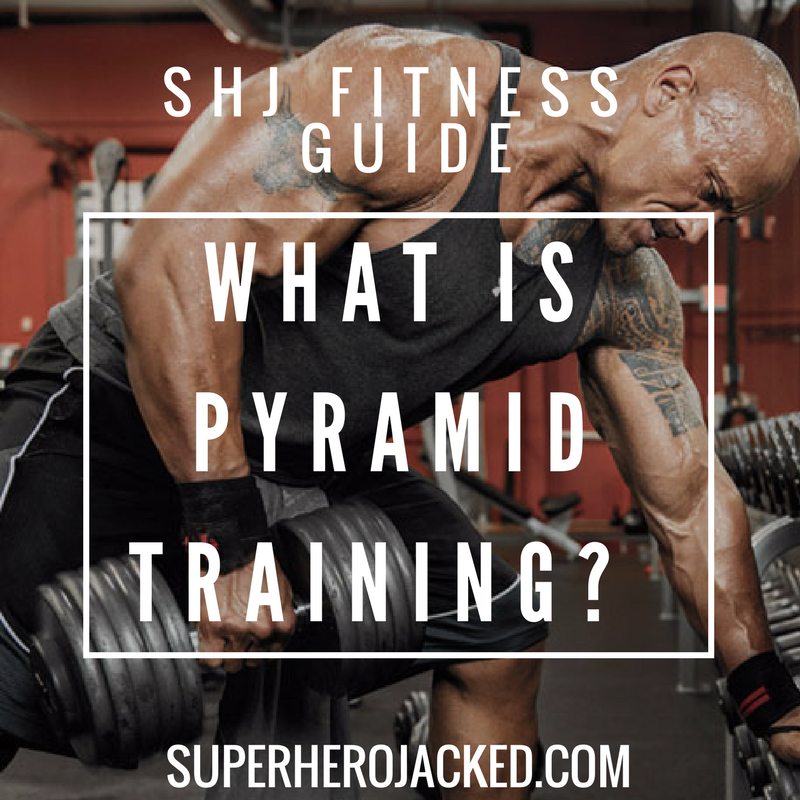 SHJ Beginner Guide: What is Pyramid Training? What Are The Different Types? 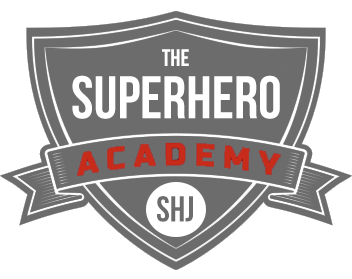 So, you want to look like Dwayne Johnson, Gal Gadot, or one of the other celebs we’ve researched at SHJ, huh? First of all, if you said no, you’re lying. Well, today we’ll be talking about pyramid training, which is something I often times forget that everyone does not know about. It is just something that I’ve been using throughout almost all of my training (with some points of testing other styles of training). And, if you’re a little behind, this article is going to provide you an explanation of what pyramid training is, what it does for you (and therefore why you should be using it), and also a brief overview of some of your other options (all of which I’ve tested before). 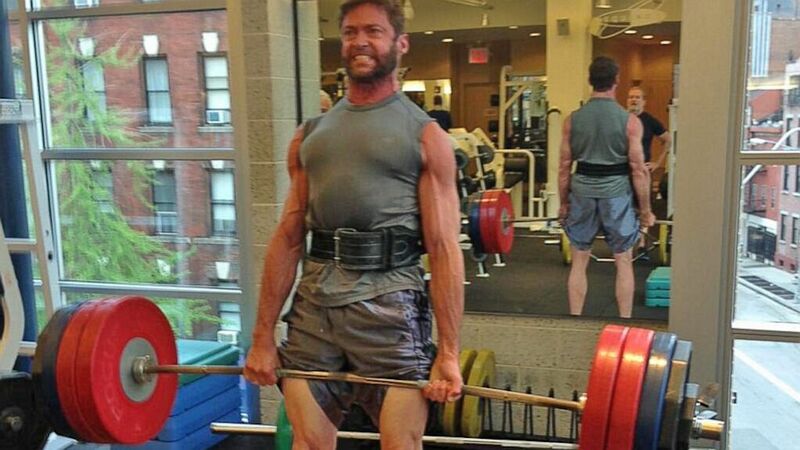 Yes, that’s our Wolverine, Hugh Jackman, deadlifting some big weight. I’ll do my best to provide some cool pics of our celebs lifting throughout the course of this article. Very basically, pyramid training is performing an exercise or two, for a particular rep and then working your way down to 1, intended to fatigue the muscle. This type of training can be employed as an upward and/or downward sequence in weight or reps. 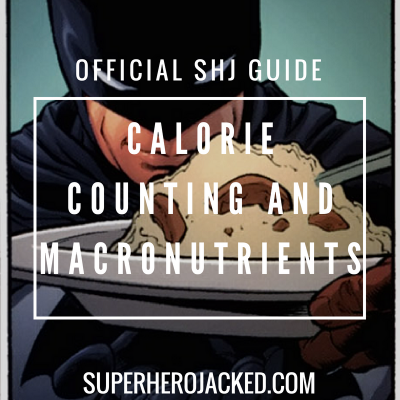 It works because you wind up with a much higher level of training volume AND training density. Let’s borrow a quick picture from Google Images to give you guys a visual idea of what we’re going to be talking about. The picture above shows the most basic formatting for pyramid training, and exactly what we want to implement in our training. Kind of making sense now? But heck, if not, I’ll break it down even more. Pyramid training is extremely simple, and I’ll prove it to you by going through it step by step. Step 6. Repeat this Structure Until You Get to 3 Reps or even your 1 Rep Max! C’mon, that was pretty freakin’ easy! Oh, did I not mention there were some awesome benefits? Okay, yeah I did, but I wanted to be dramatic. And, yes that’s Daisy Ridley, AKA Rey from Star Wars deadlifting! But, you want to know the best part? There is more than one variation! And, I’m going to tell you all of them. We’ve already gone over ascending pyramid training, and now I’m going to show you two other variations that you can choose from to step your training up to the next level. Like I just stated, we just went over the ascending pyramid training. Now we’ll be going over some other variations that you can test and implement as well. Let’s not confuse these for other types of training. These are all valid options, and should be tested by you. And yes, that is Henry Cavill, aka Superman. AKA The Man of Steel. Sources like Men’s Fitness, Bodybuilding.com, Schwarzenegger.com, and many more sources agree that these different variations of pyramid training are really helping take people’s training (and physiques) to the next level. Now that we went over ascending pyramid the others will be a lot easier to explain. Let’s discuss quickly the difference between each one of these two variations (and ascending). Reverse Pyramid Training: You start out HEAVY and go backwards, working your rep scheme to go higher [reps] and lower [weight]! Ascending Descending Pyramid Training: You start [kind of] high, work your way to heavier while dropping the reps, and then go back up (visual numbers/rep schemes will help you see what I mean). 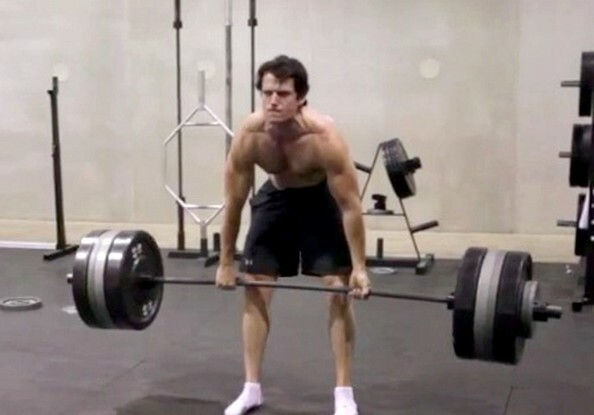 Okay, so I hope by now you guys are either sick of looking at these celebrities deadlift, or are pumped to get out there to do it yourself. Likely both, and that’s okay! Emma Stone, aka Gwen Stacy (shown above) fixed her core and back problems by deadlifting. I promised that I’d share some other forms of training that I’ve gone through, and they’re actually pretty simple. The most basic is just getting in the gym and lifting the same exact rep scheme and same exact weight every single time. Another format was going up and down in weight randomly, but not actually ever getting heavy. And, one of the others that I’m sure you guys have heard people suggest is training with strictly high rep schemes, not varying your training, and not particularly getting heavy. 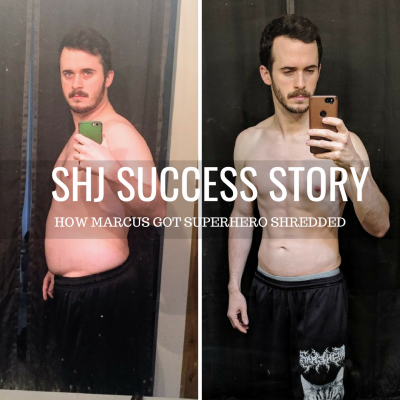 I’m here to tell you that there is a place for all types of training, but the best for losing fat, toning, gaining muscle, and all types of goals (from my personal experience, and from what I’ve seen others unleash their inner SuperHuman with) is Pyramid Training!